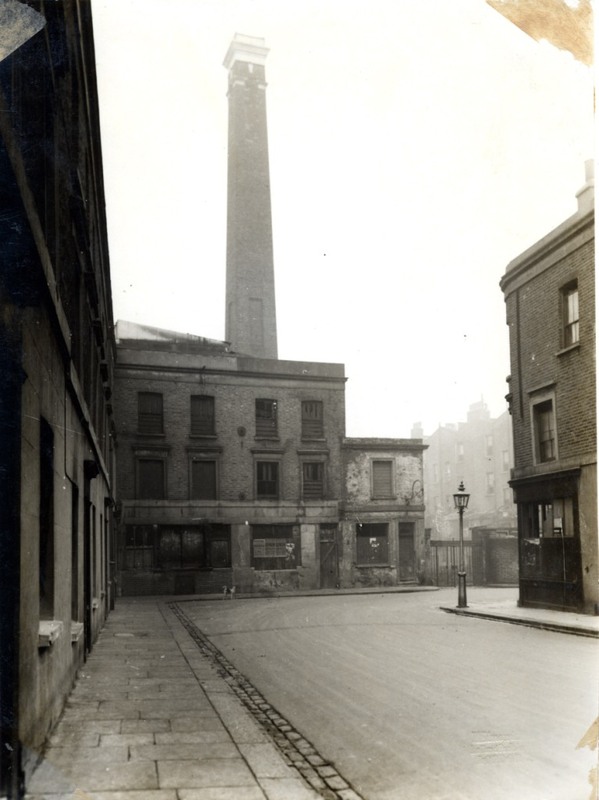 The building below featured very briefly in the recent BBC programme on Portland Street in the “Secret history of our street” series. 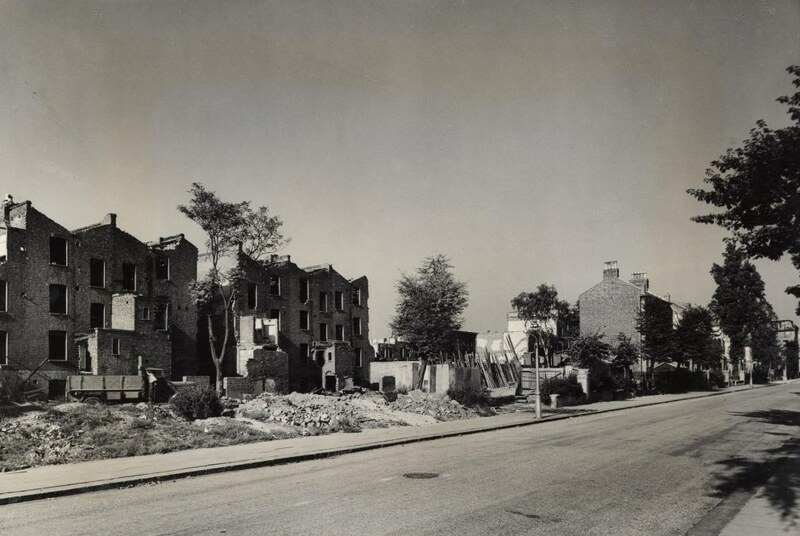 Destruction is a familiar theme in the history of North Kensington. 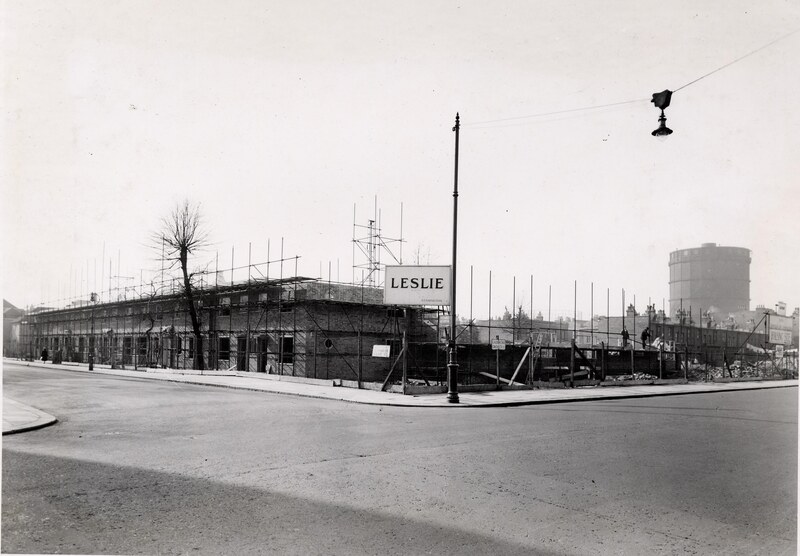 There have been speculative house building programmes in the area from the 1850s onwards. Some have succeeded and some have failed. As in the programme the streets nearest Holland Park Avenue and Notting Hill High Street and Notting Hill Gate were the most likely to succeed and survive. 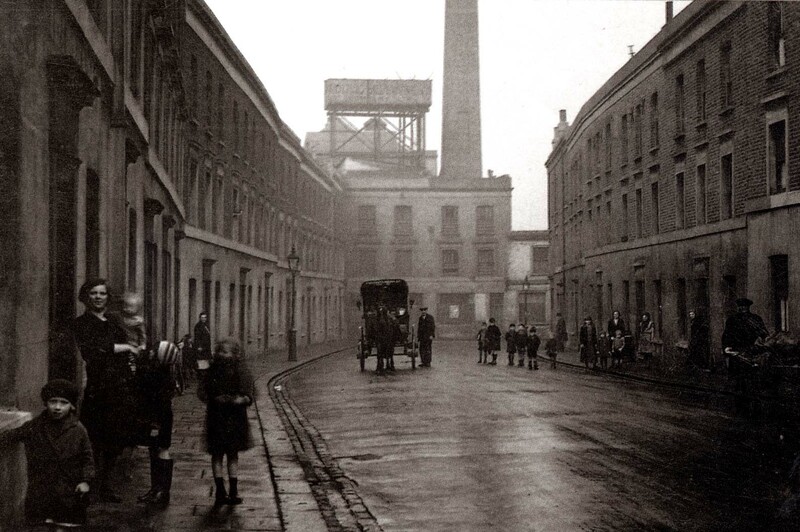 Proximity to the new railways has also played a part, as light industry and animal husbandry gave way to housing. There was another major factor of course. 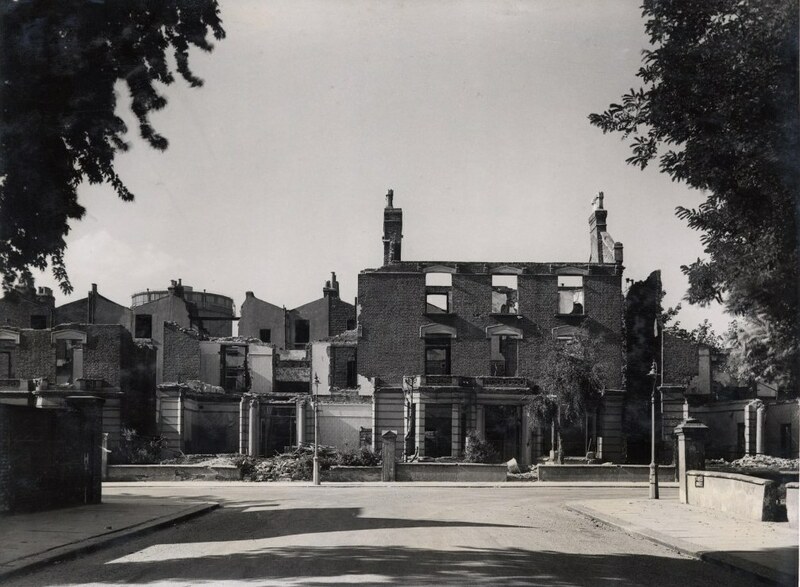 Rackham Street and St Charles Square, as stark and grim as any purpose built gothic folly, just after the war. 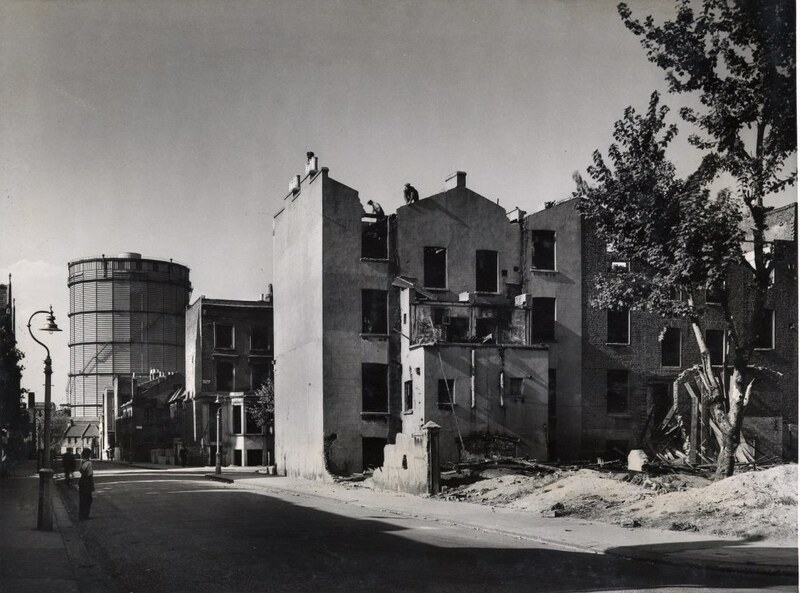 These bombed out ruins represent terror and loss of life for the people who lived there but bomb sites were also playgrounds for children growing up during and after the war. We’re all fascinated by destruction one some level. 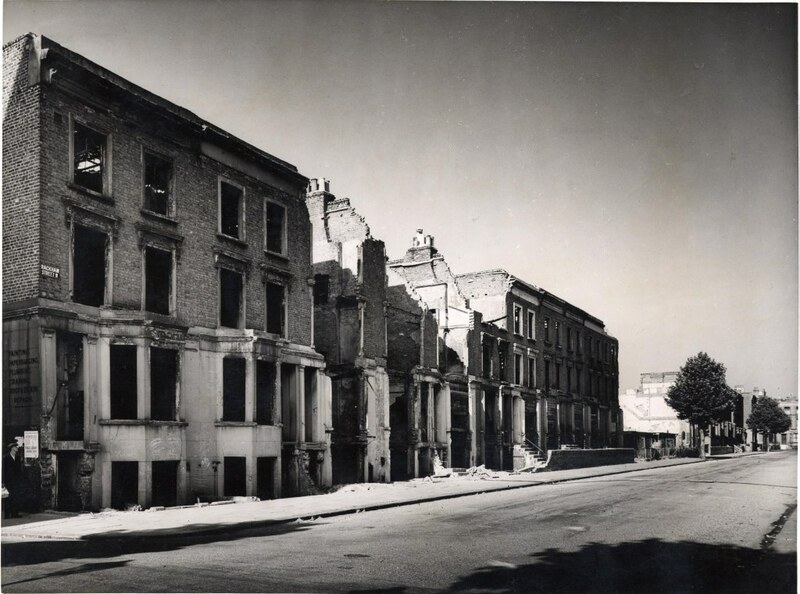 The emptied streets are still and silent in an early morning at the end of the tumultuous war years. 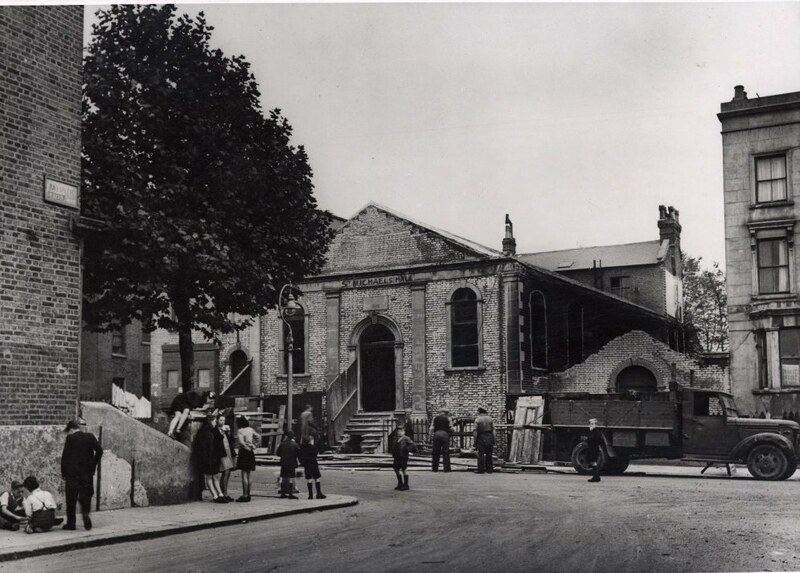 Life went on among the ruins and for the children below, hanging around and playing near St Michael’s Mission Hall in Rackham Street, the bomb sites were a normal backdrop to their lives. Destruction is also an opportunity for change and reconstruction. 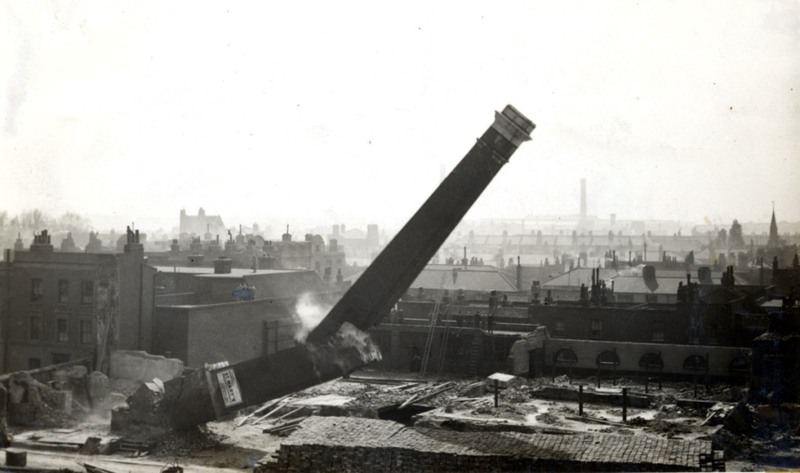 Another view of the gasometer we saw above, a landmark which survived the war, with St Charles’ Hospital in the background. 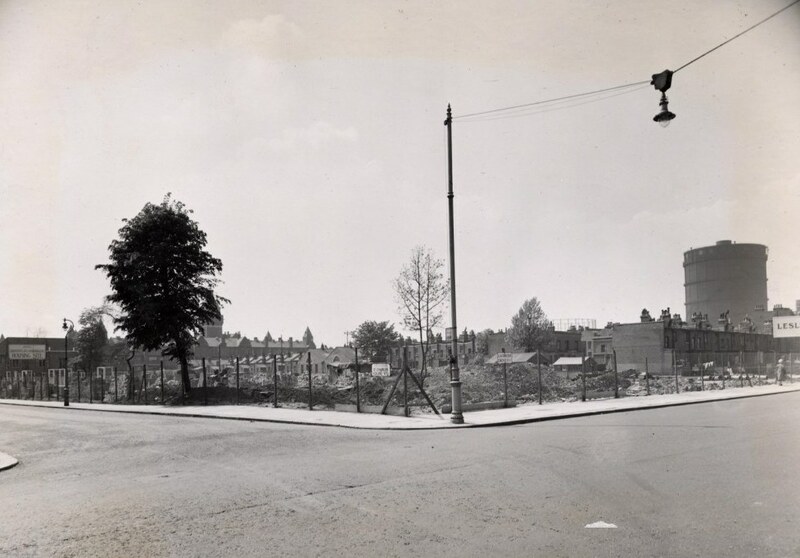 In this 1951 picture allotments and pre-fabs have filled the bombed out area prior to re-building. Below the same view in early 1952. 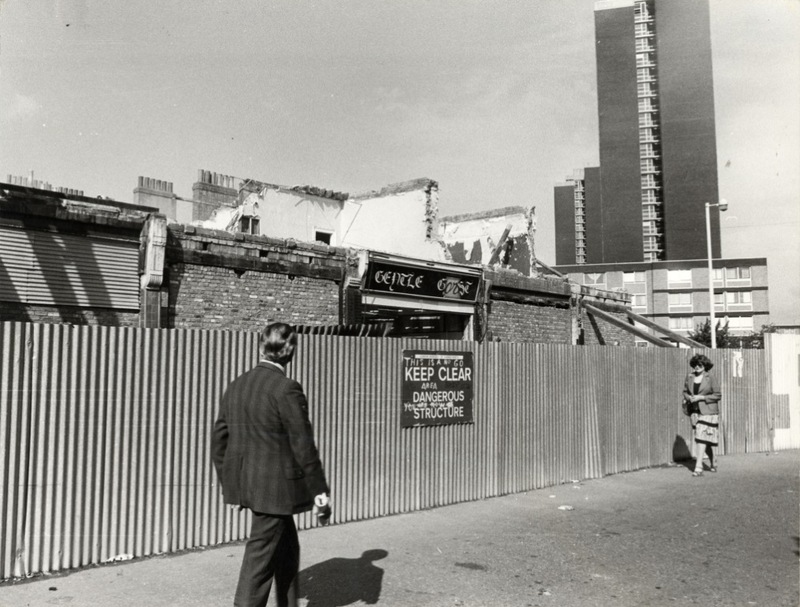 Later in the 60s and 70s there was another wave of destruction and redevelopment as slum housing was demolished and local industry declined. New building began again. 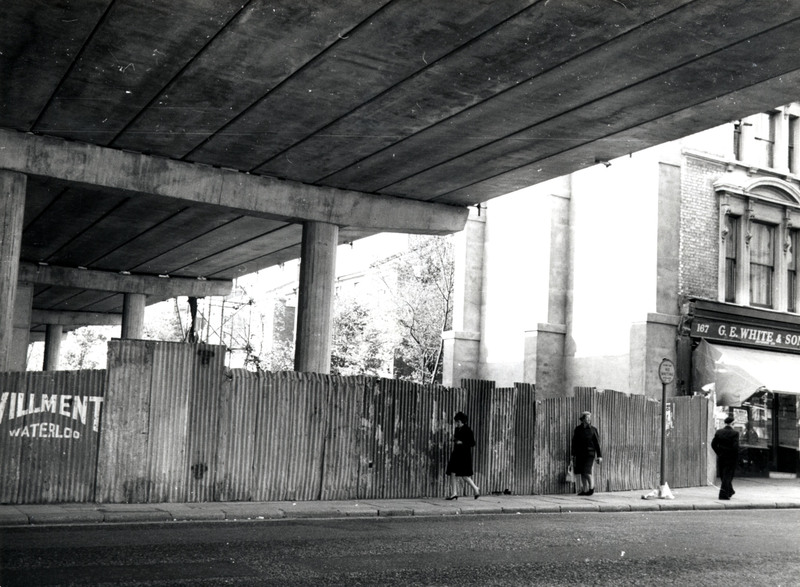 Some projects, like the Westway brought their own form of destruction along with the spaces that would grow up beneath the motorway. Other developments brought controversy. 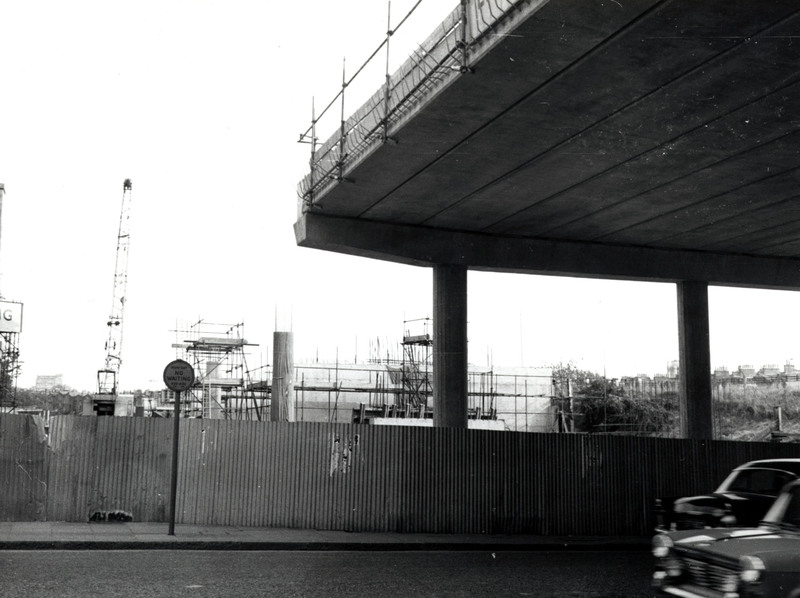 Here you can see the lower floors of Trellick Tower under construction. We’ll come back to both those projects in future posts. 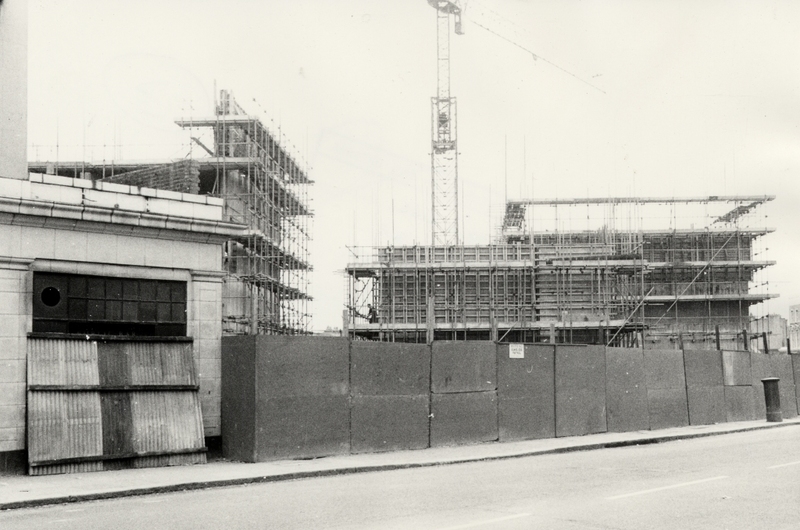 North Kensington has been knocked down and built again time again in its history, which is comparatively short by London standards hardly 200 years from fields to city. 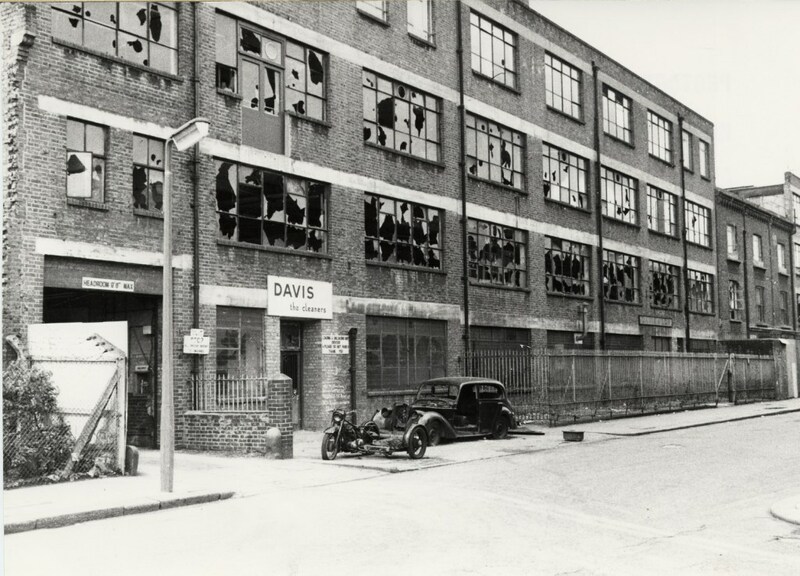 We started here at the Notting Hill Brewery. A group of residents proudly pose for a photograph showing they were not ashamed of where they lived. 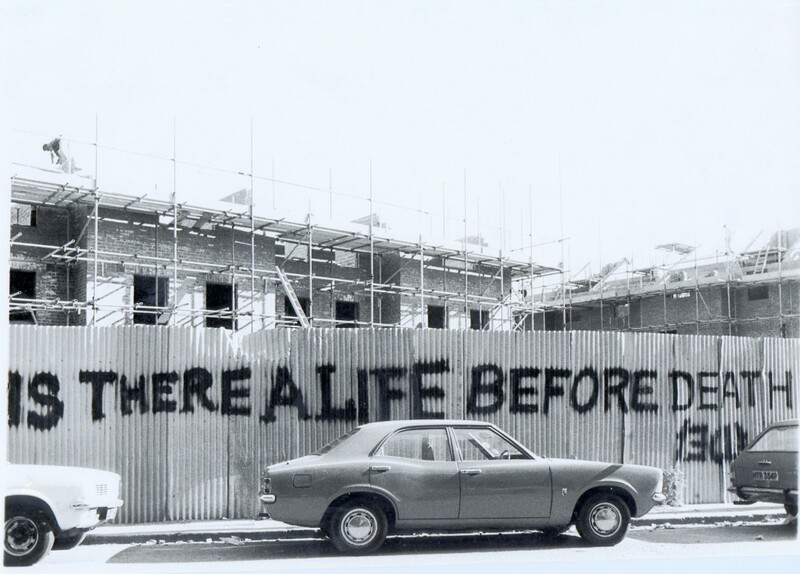 By contrast, a different way of expressing defiance and a sceptical attitude to redevelopment is shown in this picture, while the Lancaster West Estate is being built in the background. Thanks to Sue Snyder who started me off with the idea of the pictures of the Brewery but isn’t to blame for where I went afterwards.